This song epitomized the late 1980's and how the Reagan regime hood-winked millions of Americans into believing that mindless submission and supply-side economics would cure all ills. It goes beyond Nancy Reagan's insensitive "Just Say No" campaign into a deeper level of callousness. By 1988, George Bush was elected, but the sentiment was still there. Sure, The landlord say your rent is late, but if you stop worrying about it everything will work out. I imagine that the homeless multitudes take great comfort in this song. The phrase, apparently was coined by the Indian mountebank Meher Baba and became popular in the early 1970's — even Peter Townsend was taken in by the mystical guru. Most people likely know that a Pollyanna attitude rarely solves anything and will usually exacerbate a situation, but in 1988 people wanted to believe the opposite. 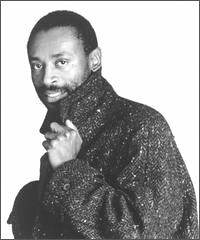 Bobby McFerrin probably did not intend for this song to be a tool for "passive acceptance" and he is recognized by many as a great jazz vocalist. One can't really fault a musician for making money by any means necessary; he doesn't want the landlord knocking at his door either. However, I vividly remember this awful ode to subservience when it came out and ironically being powerless to keep from constantly hearing it everywhere unless I could change the station. It filled shopping malls for what seemed like an eternity, and probably still does. The ultimate irony of this song is that I find it to be one of the most thoroughly depressing popular songs of recent memory.